I never realised the importance of advertisement until I got involved in the advertising industry somehow. Even though I was bombarded 24/7 by different signs on the street, or commercials on TV and even website banners, I used to ignore most of them. But it wasn’t until I was on the other side, and it was my turn to communicate something effectively, that I started asking myself, “What is it that makes an advertisement stand out?”. Let me give you some tips that might help you discover the right advertising platform for your company. The first thing you should define before you create an advertisement is what you want to communicate, so you do this clearly. But the second most important thing you need to define is your audience. If you aim at nothing, you will hit it every time they say, and it is the same when it comes to selling/promoting something. If you do not define who you want to reach, you will end up with no results. If you want to reach young people for example, you might want to choose digital forms of advertising like social media platforms or websites. On the other hand, printed platforms like handouts, newspaper adds or printed signs are usually read by older people. 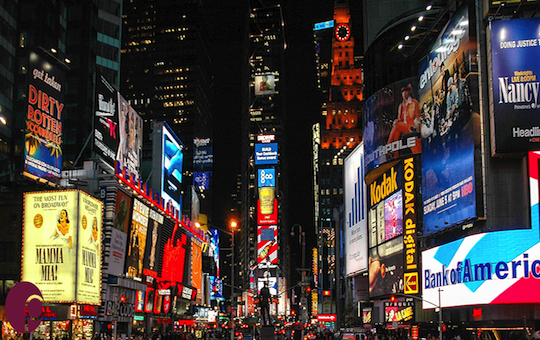 Street signage and led screens reach all ages, but they might only be effective if you pay attention to the next step. People sometimes think that budget makes all the difference when it comes to advertising, and on one hand it is true, but on the other not really. People don’t always go for fancy ideas as much as they go for original ones. People will always be drawn to advertisements that stand out because they are different. This might look like interactive adds, or an original and new way of telling a story, or a new way of making the audience feel identified with the product. Linking your product to the people’s everyday, and letting them know that what you created was specially created to make their life better, will definitely make a difference. And placing this kind of add in unusual places or in common places but in unusual ways is always a win. Remember people are already bombarded by information 24/7, why should they look at your add? Most organisations usually allocate budget for advertising, and for the team it is very important to define where that budget will be spent. For example, if you want to use photography or footage for your campaign, it is important that you allocate budget to make this content of good quality. Think of places, equipment, people, outfits, props, whatever it is that you will need to make it happen. After the production is done, think how you want to spread it out. Maybe it works best for you to make it digitally available through youtube adds or google adds instead of making it printed as a handout. Or maybe if you have the opportunity to do so, decide to hire a screen in a crowded main street where it will definitely be seen so you ensure the add is worth the investment. If you want to do printed handouts, maybe start with small quantities and see how you go or make sure that they will be handed out in the right places of interest, because there’s no point in having handouts that most people will throw away. At the end of the day the most important thing is to effectively communicate the message you want to bring across. It is much more effective to invest in a great advertisement, aimed at the right audience and with enough budget behind it to make it excellent, than to have 1000 low quality flyers laying across the city. Just to use it as an example, one of the companies that is genius at advertisement is Dove, they use vulnerability and beauty in the ordinary to captivate the feminine audience, and they surely do it well. Their beauty sketches campaign is one that personally impacted me a lot, and I am sure it did the same to other people. Think about it, what impacts you the most about your company? How would you want people to see what you do through your product? So what is it that you need in order to improve the advertisement of that product? Is it maybe a more simple way of communicating the message? Better pictures? A better location? Whatever you do, don’t limit your creativity and remember that it is also a process of test and trial, learning to read your audience and to manage all the details! So what else do you think will make an advertisement stand out? What was your experience with selling your product?